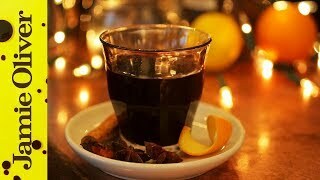 Mulled Wine, called "Glühwein" in German, is a traditional and tasty Christmas drink in Germany and the prefect treat for cold winter days. You can buy mulled wine at every German Christmas market, but how about making your own spiced wine at home? Pour the red wine into a large pot and begin heating over low heat (don't boil). Add (6)cinnamon sticks , (8-10) whole cloves, sugar, and(3-5 whole) anis (and optional ingredients to taste- cardamom, nutmeg, brandy). Heat thouroughly, then add the sliced oranges(3 slices) and whole lemon (sliced). Simmer the mixture about 45 minutes over low heat (make sure not to boil the wine). Have a try and add more sugar if you want to; then strain and serve the drink hot in prewarmed glasses or mugs. 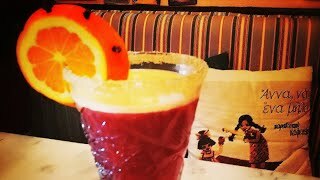 Garnish with orange slices or a cinnamon stick and enjoy your traditional German mulled wine. 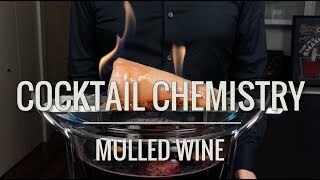 This recipe is very flexible - if you like your mulled wine sweeter, just add more sugar; if you want it stronger, add some brandy or rum. You can also experiment with other spices, such as bay leaves or ginger, or you can put some kumquats (mini oranges) into the glasses.